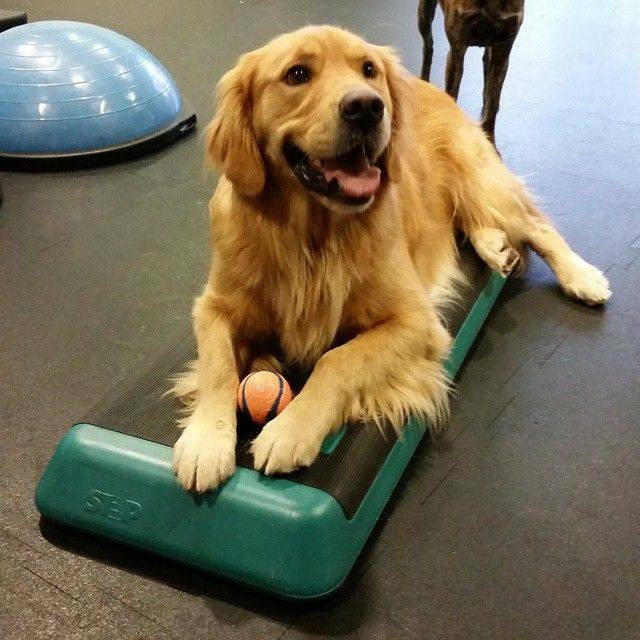 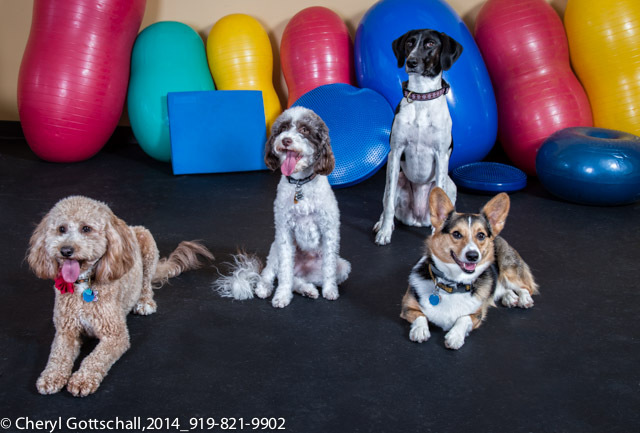 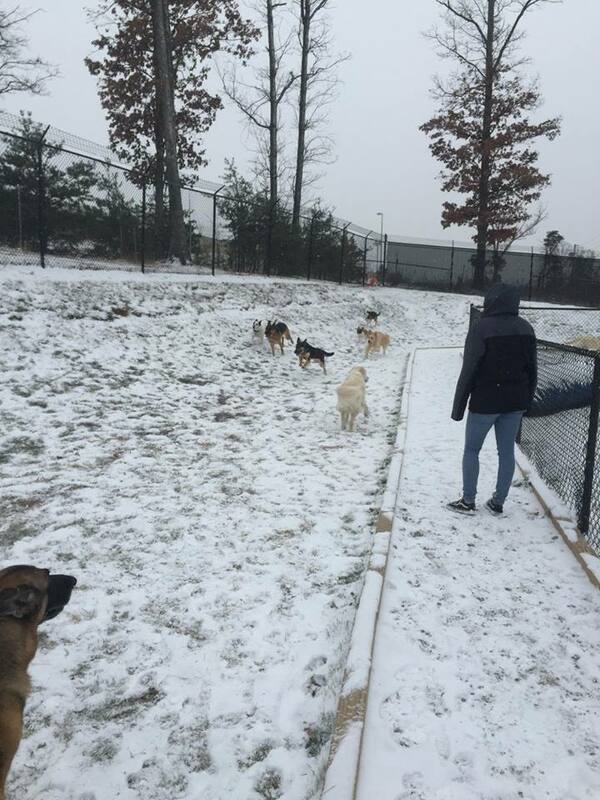 Full and Half Day Doggie Day Camp in N.VA, Bethesda, and D.C.
KEEP YOUR PUP ACTIVE & HEALTHY! There are numerous opportunities during our Doggie Day Camp for your pup to enjoy playtime and socialization throughout the day. 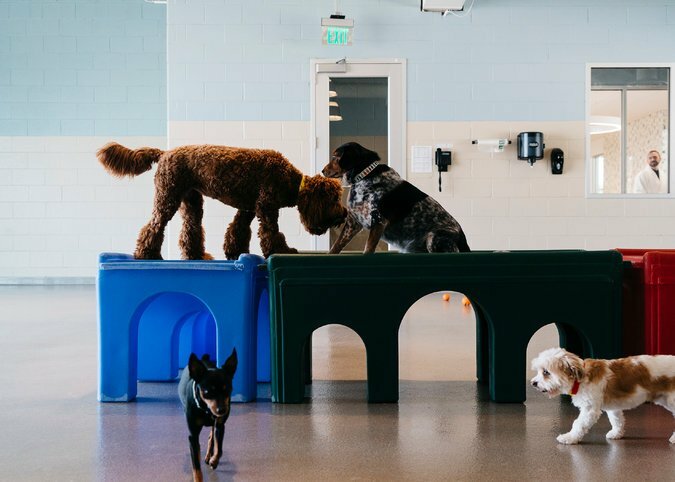 Our attentive pet care staff supervises all Campers closely and engages them in ball fetch and other fun, physical games to ensure your pet goes home happy and dog-tired! 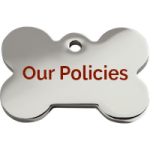 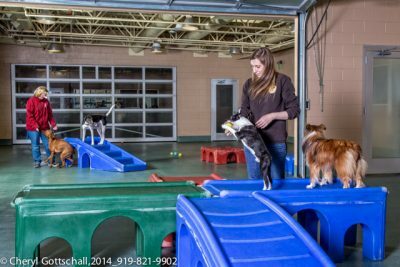 Some of our clients bring their dogs to Doggie Day Camp five or seven days a week, while others come only half days or on occasion as an alternative to a dog kennel while work is being done on their house. 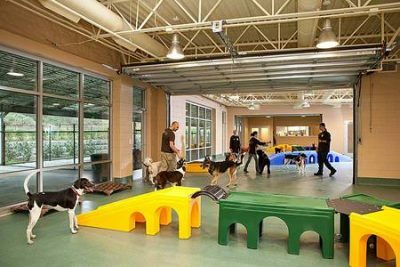 Other pet parents bring their dogs only on weekends while they run errands. 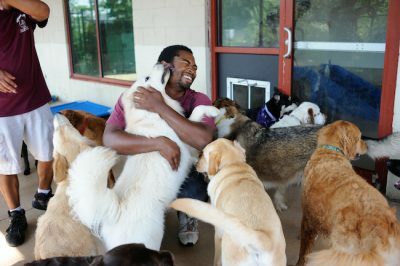 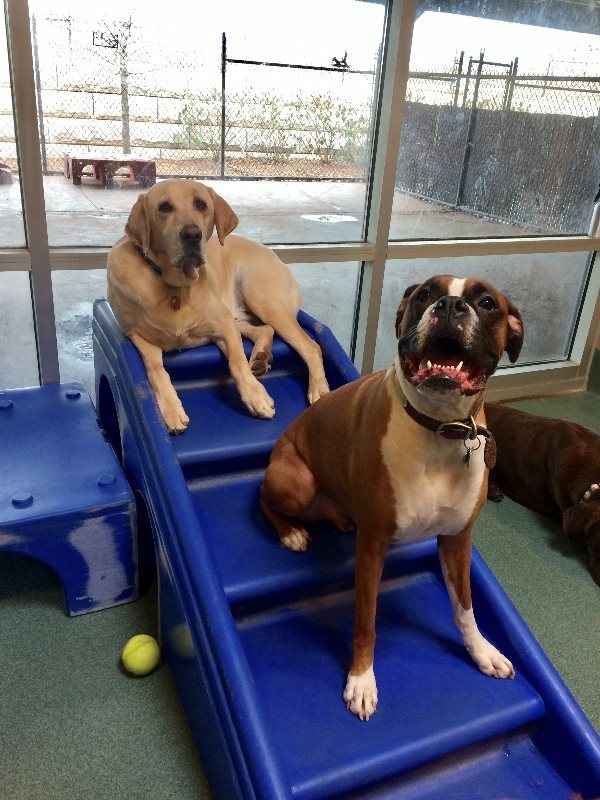 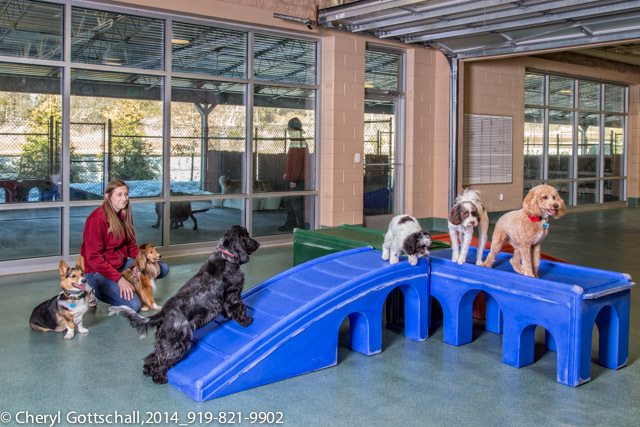 Olde Towne Pet Resort will provide your canine with ample playtime and physical activity during their Doggie Day Camp experience. 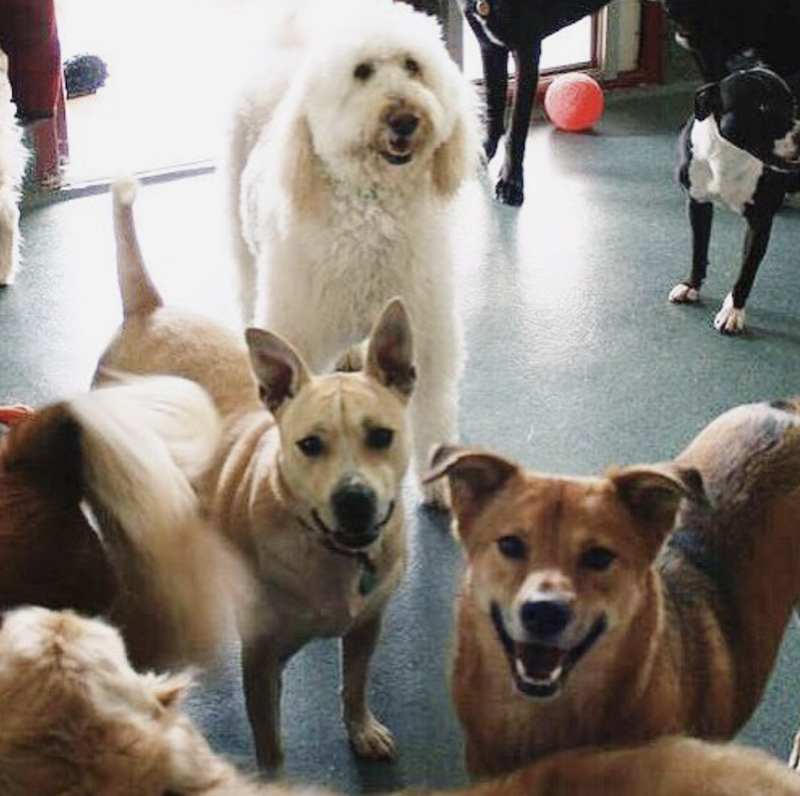 Dogs attending our Day Camp aren’t always limited to our indoor dog day care areas. Weather permitting, Day Campers also thoroughly enjoy our very spacious outdoor play yards! Under close supervision from our Day Camp counselors, dogs gather in packs or groups and play together in our dog bone-shaped water pools and sprinklers. 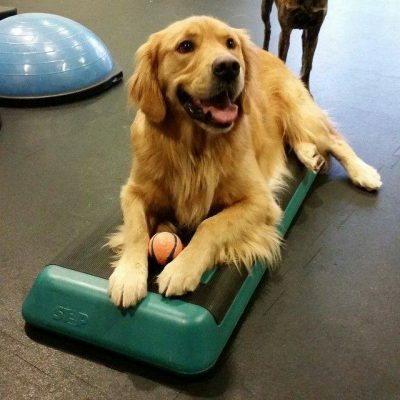 Other pups choose to chase down balls or toys with their canine friends or simply relax outdoors to enjoy the beautiful weather and warm sunshine. Look at our Day Campers go….